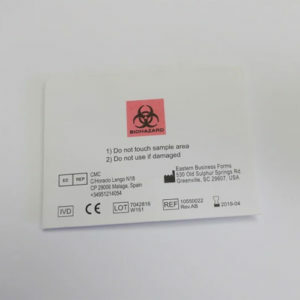 Dried blood spot (DBS) collection cards are a stable and cost effective method to obtain blood samples from a finger prick that are easily transported for further analysis. EBF is the exclusive manufacture of 903 DBS specimen collection cards worldwide. 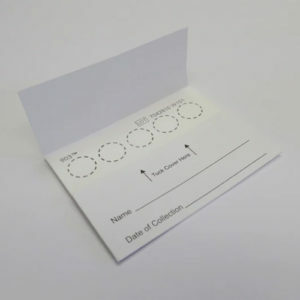 We also manufacture collection cards for dried urine and specimen collection kits. 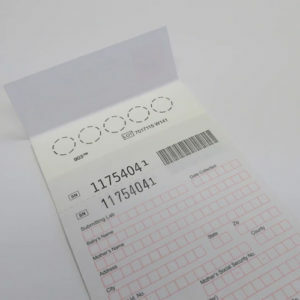 903 DBS cards are registered with the FDA and in compliance with the EU IVD Directive. EBF carefully controls the manufacturing process to ensure homogeneous composition, uniform thickness, flow-rate, absorbency and purity. Since it is a medical device in the US, EBF 903 paper has to be manufactured under controls compliant with the FDA Quality System Regulations. In addition, serum uptake analysis is conducted for each lot of 903 paper by the Centers for Disease Control Newborn Screening Quality Assurance Program. 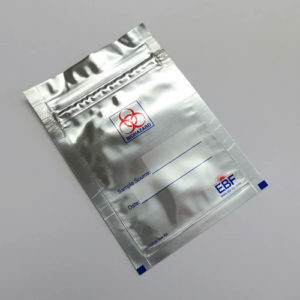 EBF 903 sample collection cards are FDA approved Class II medical devices intended for diagnostic applications. EBF specializes in customized solutions for DBS sample collection. 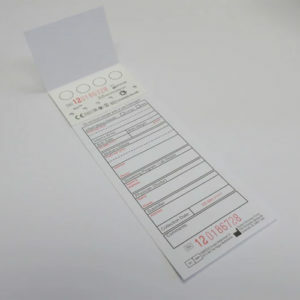 We manufacture a number of collection card formats including cassette style cards suitable for automated DBS analysis. We can also include sequential numbers and barcodes to fit your specifications. Additionally, we provide customized kitting solutions including all necessary components for collection, storage and transportation of dried blood spots. FDA and compliant with the EU IVD Directive. We value our relationship with EBF. They are friendly, knowledgeable, and their response time on quotes and other miscellaneous inquiries is impeccable. This level of responsiveness is especially crucial to us in a partner vendor as it allows us to maintain the necessary high service level to our customers.